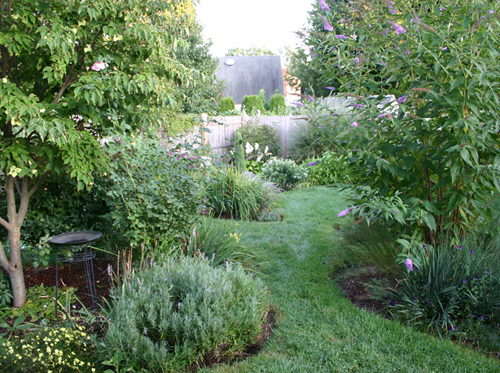 Moda Designers: How Do Their Gardens Grow? It’s that season of the year when, if we’re not at our sewing machines, then many of us can be found on our hands and knees in the dirt. 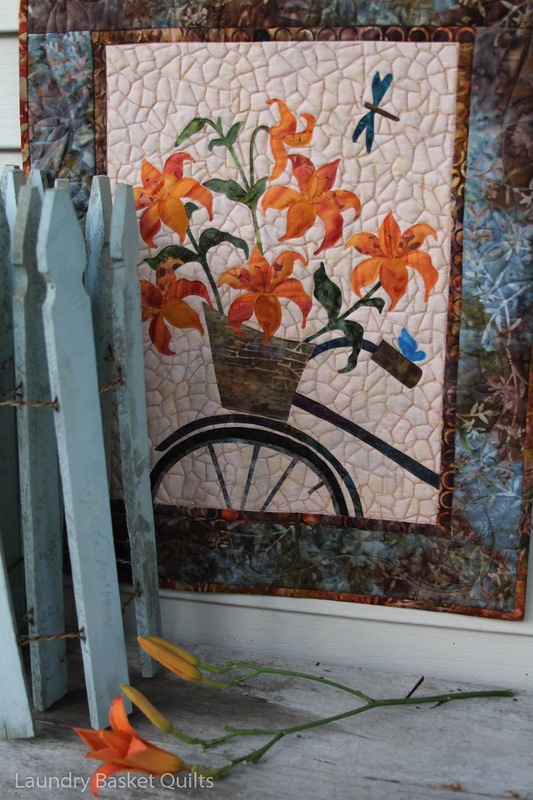 Lots of quilters enjoy gardening—there’s something about combining colors, shapes, and textures to create a landscape that is so similar to creating a quilt. While some of Moda’s designers don’t garden (and one, who shall remain nameless, claims that when she buys plants it’s like giving them a death sentence), others relish the chance to putter around the yard and draw inspiration for their fabric and quilt designs from what’s right outside their window. First up is Jan Patek. 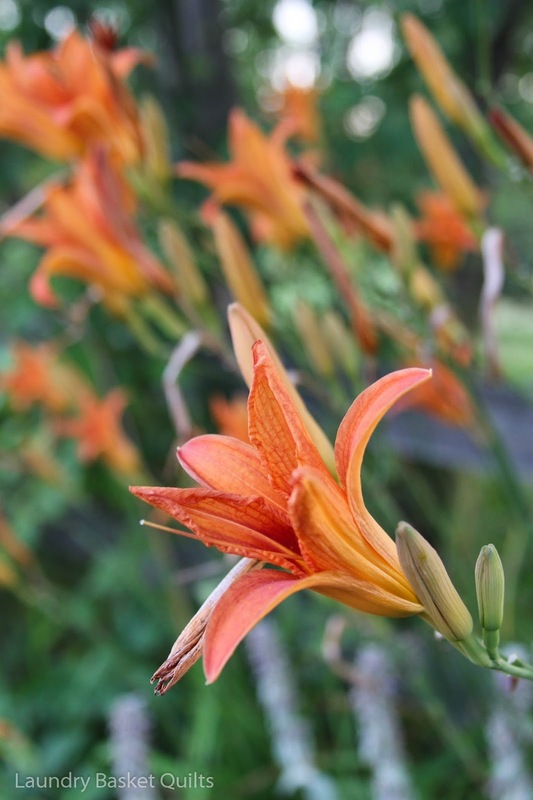 The Audra’s Iris Garden line she designed with Linda Brannock is directly inspired by the flowers Jan’s grandmother Audra Laird brought from her house to plant in Jan’s mother’s garden. 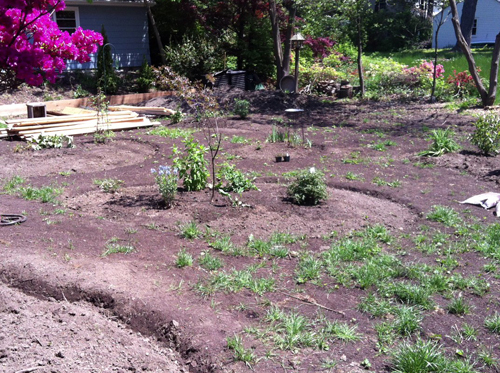 When Jan’s mother sold the house, Jan and her sister made sure to put in the contract that they could return and dig some of the iris in the fall. 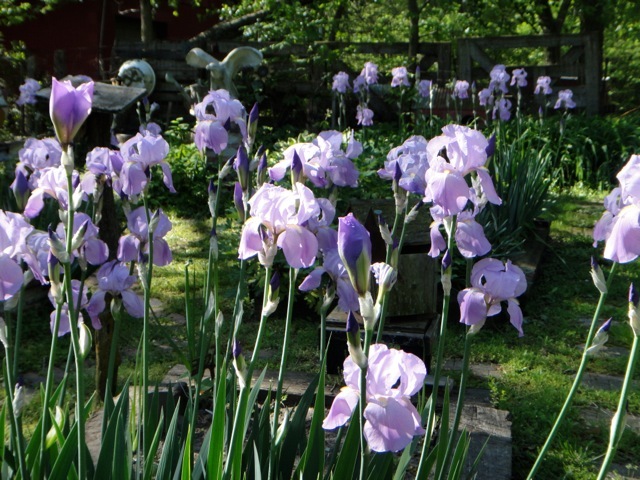 Now the iris lives on in the gardens of Jan, her sister, and Jan’s two sons. “My daughter lives in an apartment, but if she ever gets a house, she’ll get some, too,” says Jan.
Avid gardener Kate Spain managed to include a bit of greenery amongst the mittens and hot chocolate in her latest fabric line—In From the Cold. 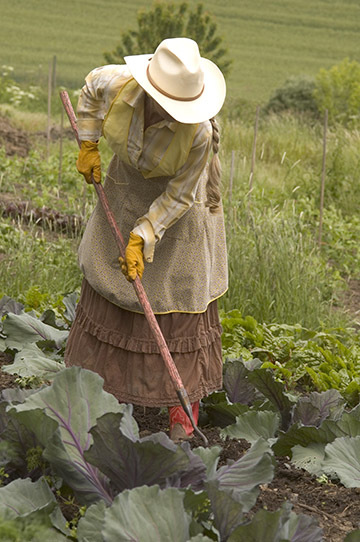 Kate says many of the skills she uses in gardening are the same ones she employs to design fabric. 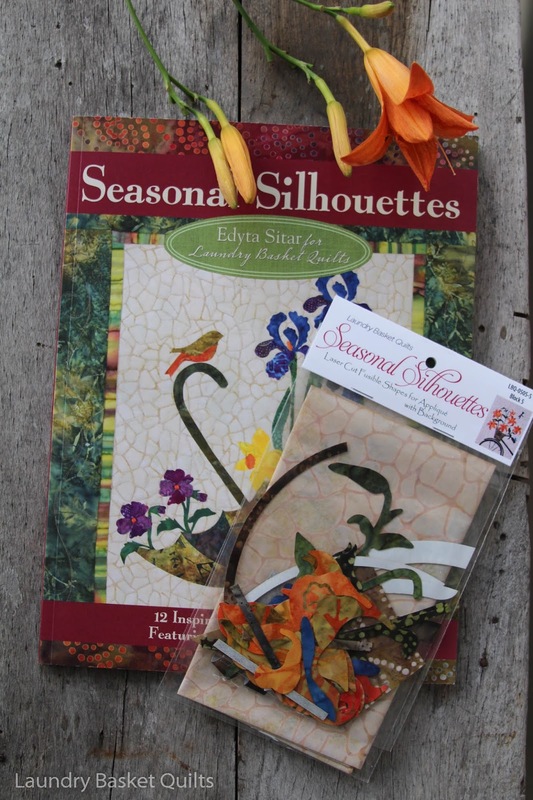 Deb Strain, whose most recent fabric lines are Christmas Countdown and Pumpkin Party, says that mixing the colors and textures of plants and flowers, both the focal points and the ones she calls the “all-overs,” is very similar to designing fabric. 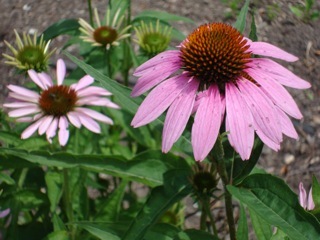 “I love gardening, and I’m able to enjoy my work every time I walk out the door!” Here are some favorite flowers from Deb’s garden. How about you? 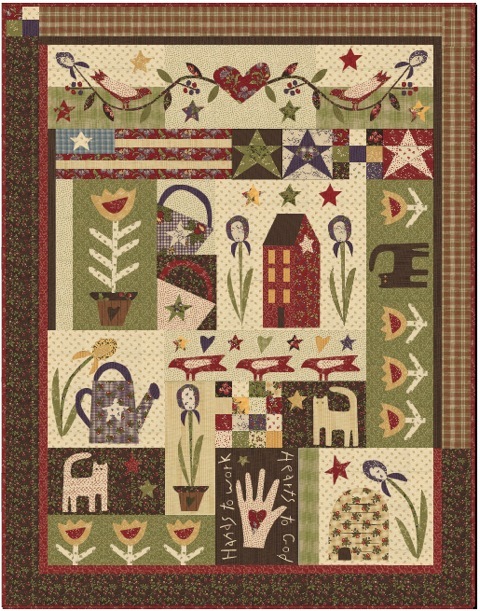 Is there a connection between your garden and your quilts? 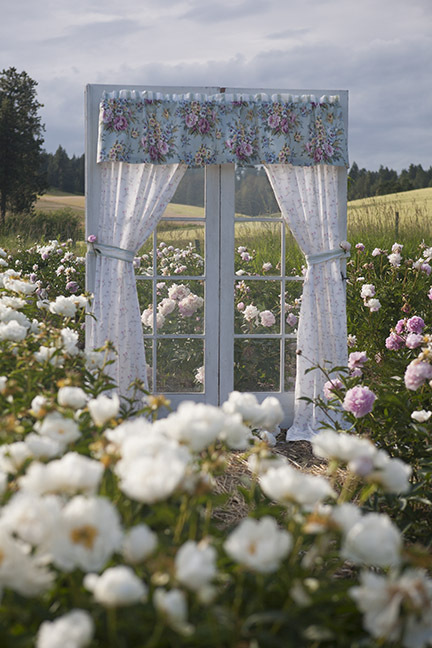 By Linzee McCrayIn UncategorizedTagged Deb Strain, Designers, Glamping, Jan Patek, Kate Spain, Laundry Basket, Mary Jane Butters, Moda Designers, moda fabrics4 Comments on Moda Designers: How Do Their Gardens Grow? It was so much fun to read this post! Thanks Linzee! 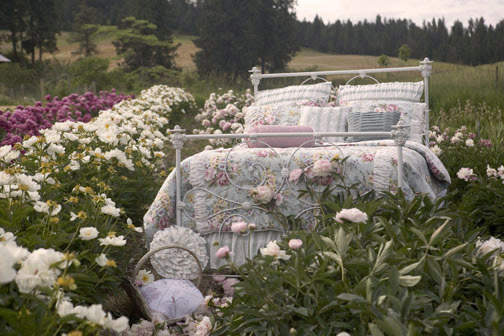 I can appreciate how the two go together, and then featured designers certainly make beautiful gardens and fabrics, for which I am grateful. 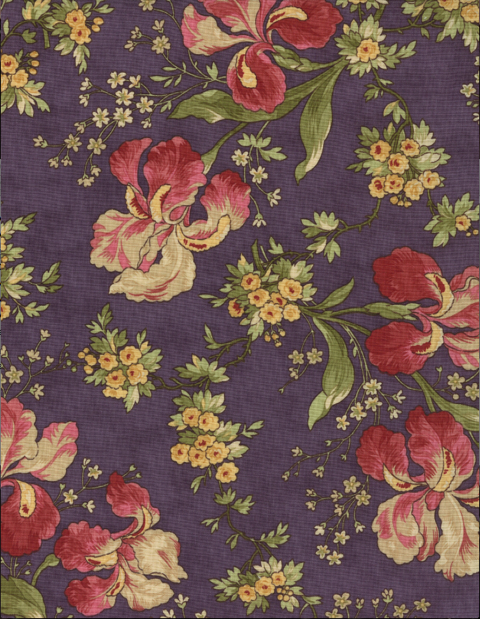 I tend to gravitate towards colorful florally fabrics, probably because I can turn a perrinial into an annual in five minutes! I love my rose garden and seem to collect fat quarters with roses. The only problem this year is the rain! I can’t even work in the garden as it is either raining or too wet. 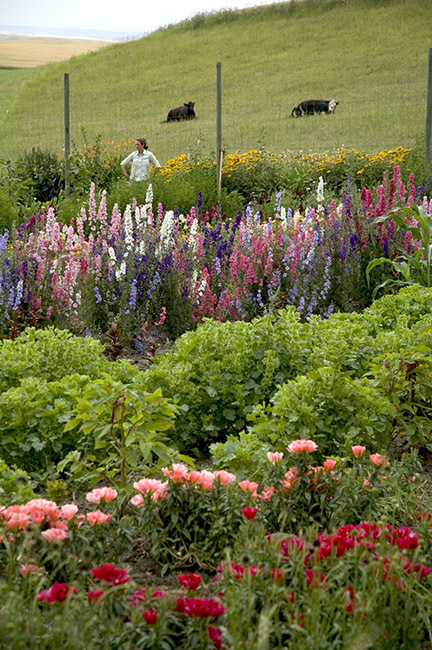 I might have to say the opposite is the case…my garden is kind of like a patchwork quilt. 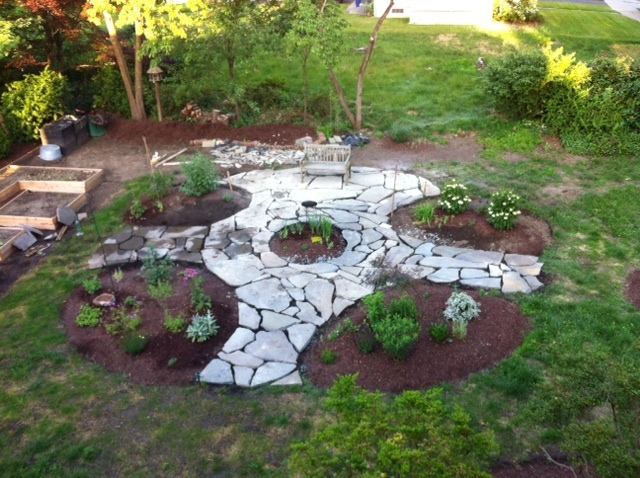 I made a design with the beds of my vegetable garden that form an octagon around the center bed which is a circle and it the herb garden. 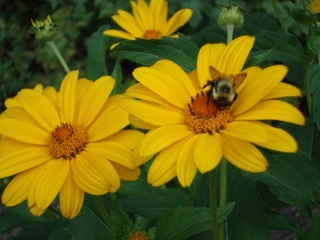 The outer beds are seasonal and always changing, but I always have some kind of colorful flowers mixed in with the veggies.